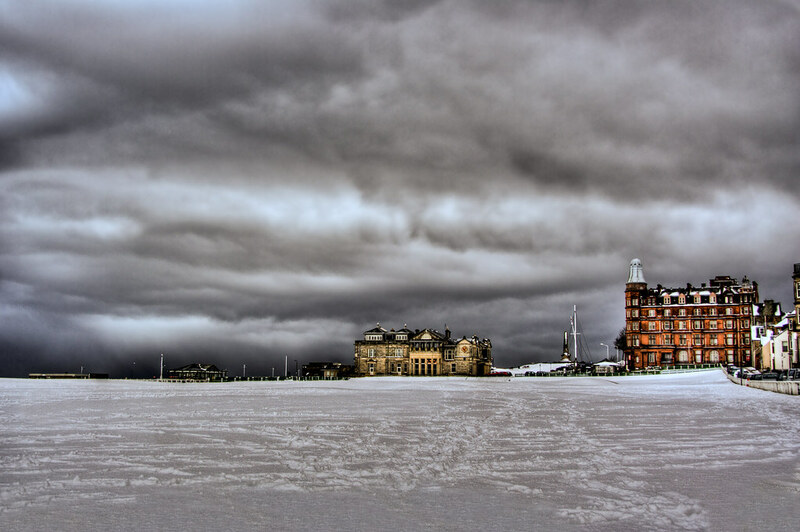 The 1st and 18th fairways of the Old Course at St Andrews covered in snow. This winter the courses have been closed for the best part of 4 weeks due to the weather, much to the annoyance of many a golfer. This entry was posted in Golf, Scotland, St Andrews and tagged fife, Golf, golfing, hdr, old course, Scotland, scottish, skreid, St Andrews. Bookmark the permalink.